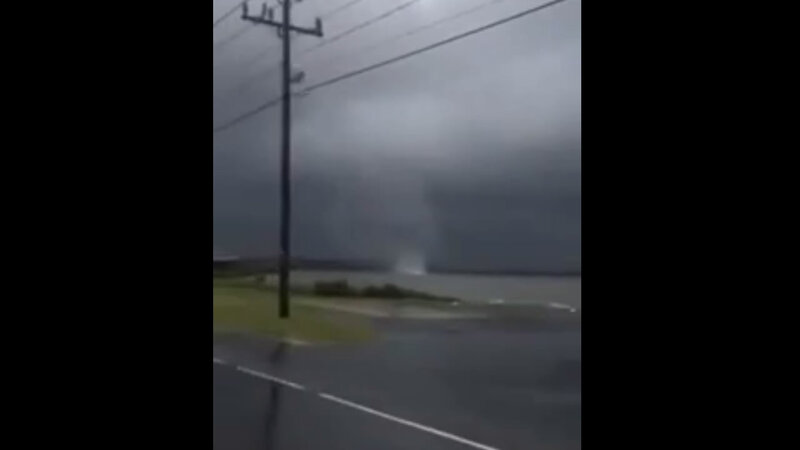 ROANOKE ISLAND, Outer Banks (WTVD) -- A waterspout that formed Monday evening over the Croatan Sound moved onshore over a Roanoke Island neighborhood, causing some damage. Garnette Guyton with the Outer Banks Voice caught the waterspout on camera. The Outer Bank Voice reports some trees were knocked over and roofs damaged. Nobody was hurt.